Amazing products. Awesome solutions. Available worldwide. Stellar Phoenix EDB to PST Converter effortlessly converts Exchange database (EDB file) to Outlook data (PST) files. The software safely extracts all mail items in individual user mailboxes and saves them to equivalent PST files without making changes to the original database,thus, ensuring clean and absolute conversion. Stellar Phoenix Photo Recovery (Win) - Easily recover Lost or Deleted Photo, Video, and Music files + JPEG Repair (Win) - Award-winning tool to repair corrupt or damaged JPEG and JPG files. Stellar MBOX to PST Converter is a secure &a reliable email migration tool. You can easily migrate mailboxes from Thunderbird, Spicebird, Entourage, Pocomail, Eudora, AppleMailetc.to MS Outlook PST file. You can preview the converted emails prior to saving the PST file and importing it into MS Outlook. The tool converts mailboxes to new or existing PST file. NCommentPoster is automation tool to send comment to thousands of blogs in a multithreading process whih saves you a lot of time...Best SEO tool you can find! 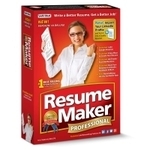 ResumeMaker includes every tool you need to write a professional resume, search for jobs, and prepare for interviews and salary negotiation. Become a Google Apps for Business master with these 8 elearning courses. ISTQB® Foundation Certificate in Software Testing is a highly qualified ISTQB based training for software testers. Capture and save the moment, permanently! Ashampoo Snap 6 provides everything you need to capture information, apply annotations and effects to illustrate your point and publish the results. All-in-one image viewer, organizer, editor, converter and publisher. Everything out of the box: view, organize, edit, present and share your photos. Ashampoo Photo Commander 11 combines menus, ribbons, side-panes and wizards into an intuitive user interface with customizable view modes for easy handling. And thanks to mini maps, scrolling within large images no longer requires dragging separate scrollbars. Batch File Renamer is a software to rename bulk files in a batch process, it is a very easy and simple software to rename any type of files.You can add, remove, insert and replace text from your file's name, and you can replace file name extensions. Cases can be update for bulk files such as UPPERCASE, lowercase, littile case or sentence case. Batch File Renamer allows you to remove or add numeric to the file name or extension. Batch File Renamer set Single name differentiate by numeric or custom character for thousand of files in single click.